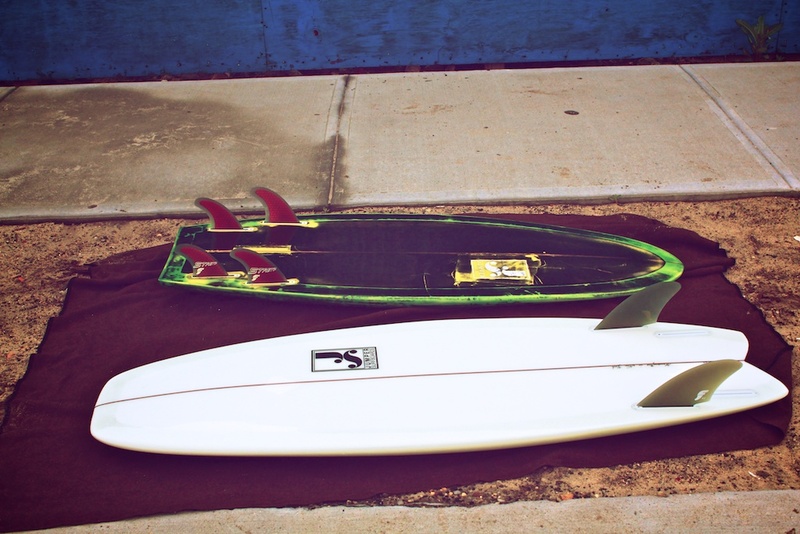 Have you ever caught yourself staring at a new surfboard like you would a piece of artwork? I can certainly say I have, and when I was turned onto Jumper Surfboards by a surfer friend, I had the same reaction. What really strikes me about these boards, shaped out of Putnam Valley, NY by owner/founder/shaper Stephen Jumper, is the effortless combination of functionality, style, and beautiful glassing techniques. I reached out to Stephen to find out a little more about his shaping philosophy and just what exactly makes Jumper Surfboards the quintessential NY board. How long have you been surfing and how did you get started? For me, surfing started before I could really remember. I have always loved the ocean and just being part of a wave has been my surfing experience. I started riding boards in the early 2000’s and started going full year surfing in NY in 2007. My first time with a surfboard was at Ditch Plains, that Bruce, a family friend let me borrow, I was hooked. What inspired you to start shaping? I love the dynamics of New York. Mountains that provide places to rock climb and backpack, Oceans to surf, and New York City an hour away from both. I started dedicating my time to rock climbing and surfing around the same time. All the friends I met climbing have slowly been converted to surfers. And a lot of the climbers I met already were surfers. As I began to understand the types of waves we get in NY it inspired me to make a board to suit. I have been skateboarding all my life and every board I surfed always felt too large. And so I decided to make my first board. The concept was to make it short, wide, flat, and thick. The idea of making my own board stemmed from the idea of how unique of a wave we have here in NY. Its location, diversity of waves types, and varying crowd factor. Flat mushy waves and then hurricane swell the next day. I wanted a board that could do both. 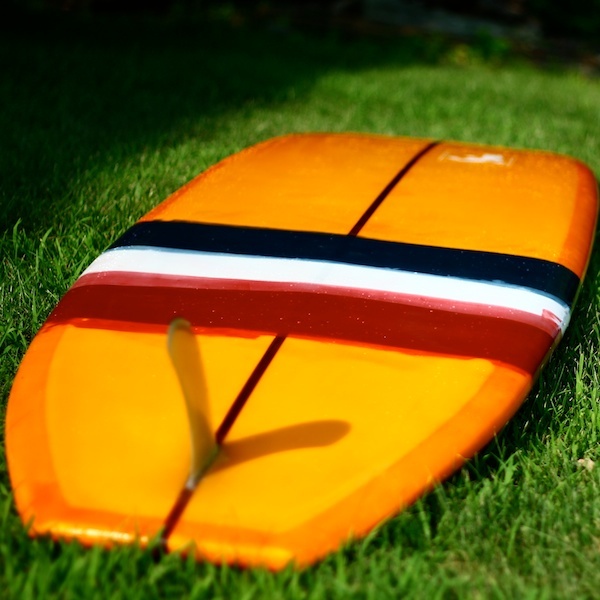 I wanted a board that could paddle against the longboards but still fly like a skateboard in super steep shorebreak. Do you have any shaping idols? Now that I have shaped and glassed 70 surfboards, it is easy to see when a shaper/glasser puts care into their work. Any board I come across that fits a standard of detail/unique design, which is associated with a craftsman of a professional caliber, gets my respect. A lot of my designs are based of the waves we surf in the east coast. I would say that about 90% of the swells we get are under an eight second period. The hurricane swells are the exception. This makes most boards that were developed in California/Hawaii useless here for 90% of the time. The great divide is rocker. I make my longboards with less rocker and I make my super small shovel fish with zero tail rocker. You can surf a 5’2” shovel fish on days when everyone out in the line up has a board that is 8 foot plus. 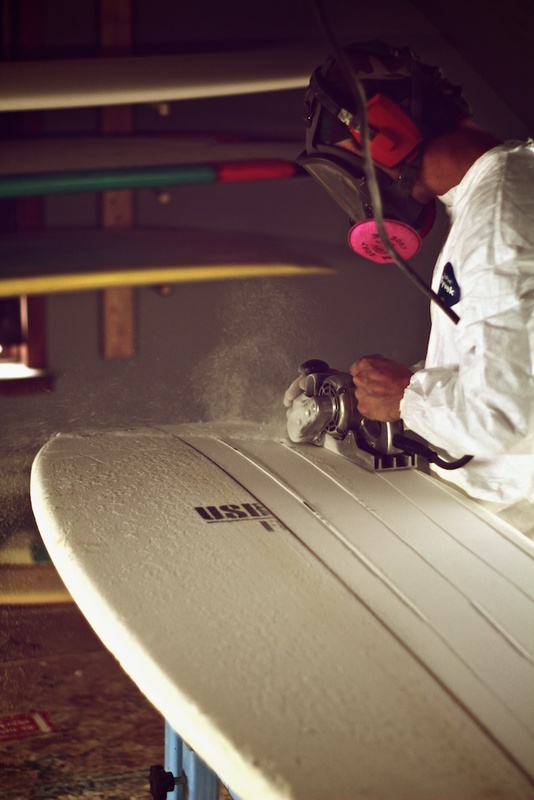 So it comes down to making boards that are suited for the waves we have. The coolest thing about the 5’2” shovel fish is when it does get big and powerful, you will be so use to riding the board, that you will have a blast on an 8-10 foot day. And its super small size will keep you fitting in the wave, even with such flat rocker. Your glassing style is very classic, clean, and beautiful. Are you driven by customers color choices or are you free to create your own color combinations and styles? I love input from customers and friends. Most of the boards I have made have just been color combos that I love. I’ll sit for an hour or so sometimes before glassing and just try to imagine what will look good. My favorites vary between 6 oz glass clean and clear and just cut lapped and glossed to splatter multicolor boards with black hot coats sanded through. I suppose the color combos can be tied to the mood I am in that day. Surfboard shapes are defined by local surfing conditions and knowledge. 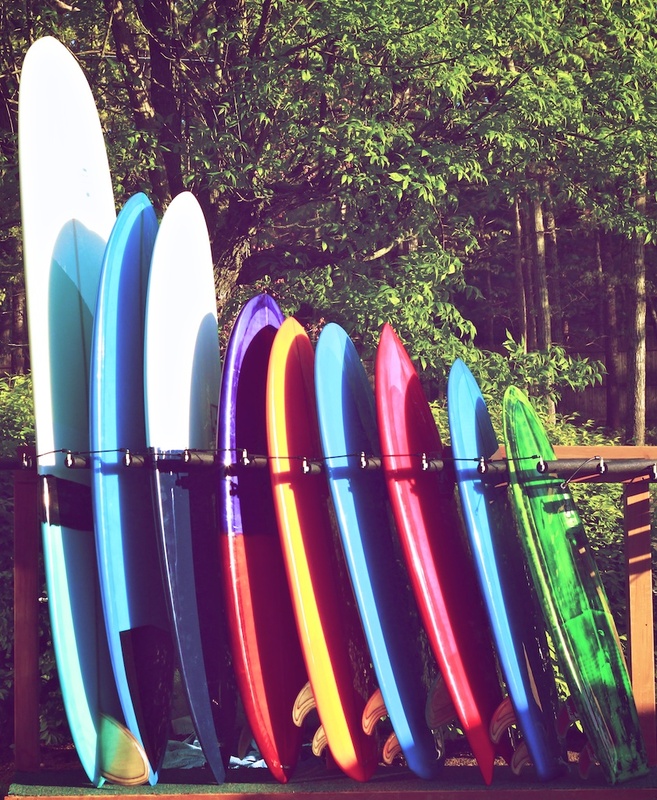 //I love that all your boards are shaped in NY with American made materials. What inspired this? 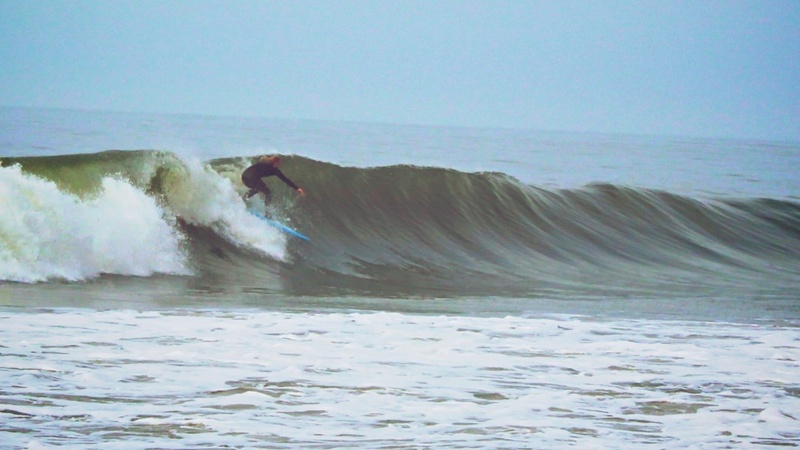 I believe that NY/East coast waves need east coast shapers. It makes the experience much more enjoyable being on the right equipment. Shortboards/thrusters certainly have their place, but I have a few guys riding my boards now that wont touch their Merricks any more. All American made materials is a really important detail, which a lot of consumers and manufacturers overlook. Every dollar spent on goods made here helps all of the US out. Every time our money goes to companies that have exported the labor or imported the raw goods from else where greatly minimizes the spread of wealth to the American people. I simply just want to start seeing more, “Made in USA” labels on products. It really will help the US economy. 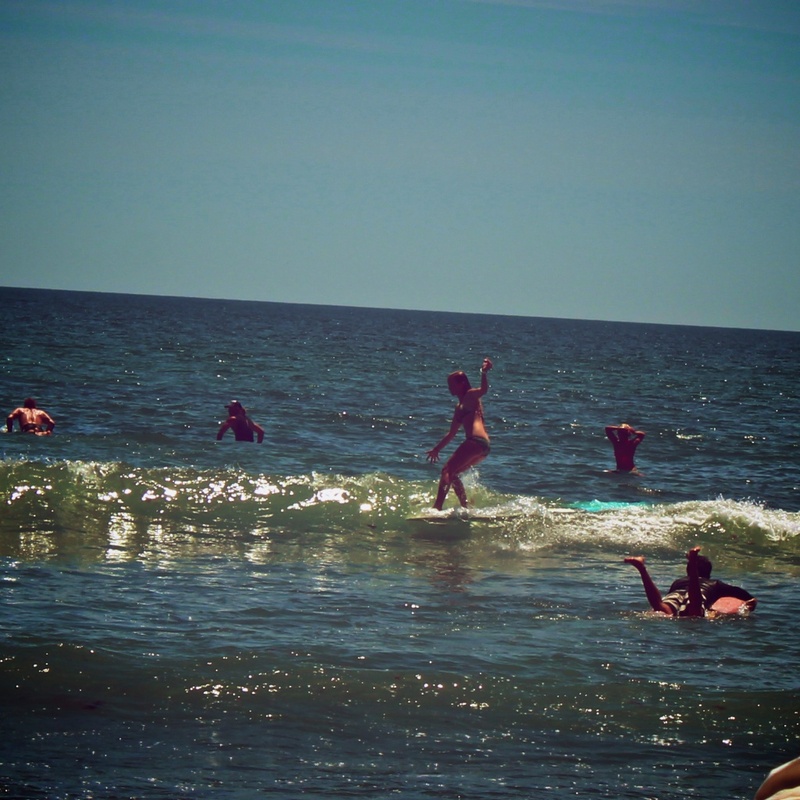 That is the best thing about surfing; its what makes it fun for you. Single fin to quad fin. Neither is better, it is what you enjoy. If I could have only one. Well, I would have two. A 9’6” log and a 5’2” mini shovel quad fin. You can surf everyday with that combo. When you are approached to shape a board for a client, what are the questions you typically ask? Well the boards I make are more alternative shapes so most people like the idea that my boards will put them into different places on the wave. All of my custom orders have given me the freedom to make what I think will work best for them. Starting with height, weight and experience is always helpful though. What is your feeling behind mass produced boards? I don’t think it is something you can avoid. Everything today is brought to its highest output. 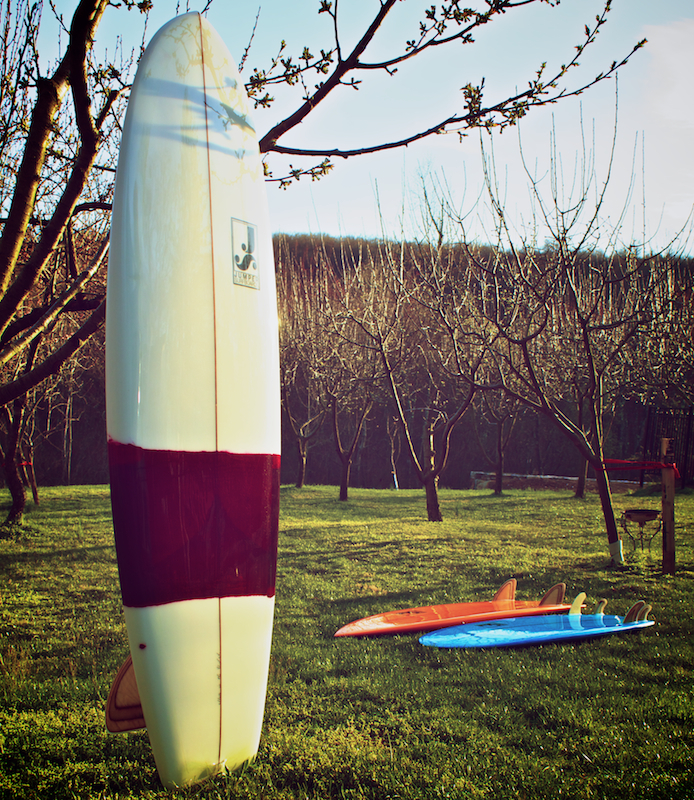 I think custom surfboards will always have their place in the lineup. At Jumper Surfboards, the mass produced number will always be based off the number of US citizens I can employ to shape the boards by hand. I have no reason to use a machine to shape surfboards. 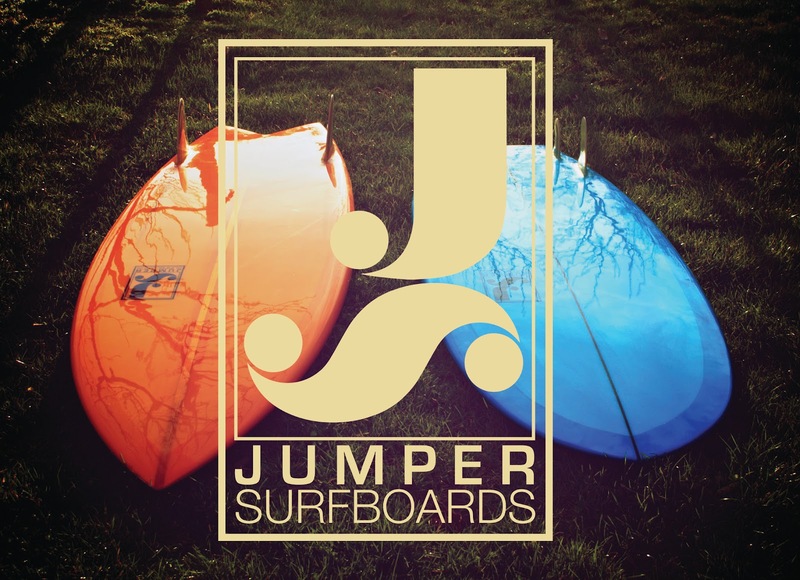 Where do you see Jumper Surfboards in ten years? I can see the boards as being a solid option for surfing east coast waves, as well as a board that will be just as good for the rest of the oceans. Also, I have my sister Marissa Jumper making some art boards too. I really hope to develop the collaboration with her over the next few years. Big thank you to Stephen for taking the time to talk with us and make sure to check out the Official Jumper Surfboards site.